Hustle Castle is a great game with tons of stuff to do. One of the most fun aspects of the game are the pets. Pets can be purchases for real money and are mostly cosmetic. There are 4 different kinds of pets in Hustle Castle. 3 of them are simply cosmetic while one of them is actually useful. We’re going to give you an overview of all the pets in Hustle Castle today. If you’re unfamiliar with the game, check out our review of Hustle Castle. 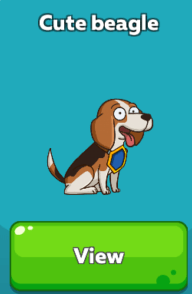 The cute Labrador pet in Hustle Castle is our favorite pet. However, while the pet is cute, it’s not very useful. In fact, it’s pretty much useless. 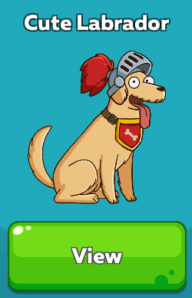 The Cute Labrador pet will roam around your castle but won’t provide any benefits. It will simply walk around your castle and look cute. If you want to see a video of the labrador in action, check out this video. The cute beagle is similar to the cute labrador, except it’s a beagle instead of a labrador, duh. Just like the cute labrador pet the cute beagle is not very useful either. It will simply roam your castle, look cute and keep your dwellers company. More of a cat person? Then the Fluffy Cat is probably more up your alley. The fluffy cat is the third pet available in Hustle Castle and just like the dogs, it’s not very useful. 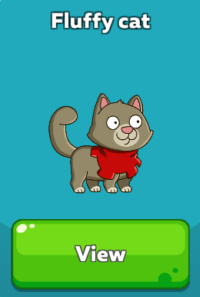 It would be interesting if the developers of Hustle Castle changed the Fluffy Cat to attack mice. Hopefully they’ll add this feature at some point. The Goblin Assistant is the only useful pet in Hustle Castle. 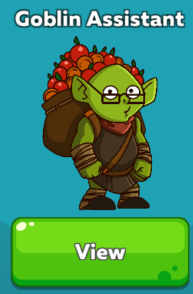 If you’re going to unlock a pet then the Goblin Assistant should probably be your first choice. Now, you might be wondering exactly what the Goblin Assistant does. The Goblin makes playing the game a bit easier. For instance, it will collect resources before they are maxed out. Furthermore, the assistant can help train your dwellers. It does this by tapping the complete icon for you when you’re training one of your dwellers. That way they can start training for the next level immediately. These features are quite useful due to the fact that you it allows you to progress in Hustle Castle when you’re asleep or not able to play the game for a while. In our opinion the Goblin Assistant is the only pet that’s really worth it, unless you really like how the other pets look of course! If you don’t have the diamonds to obtain the pets, we’ve written an article about getting free diamonds in Hustle Castle which is worth a read.